RIM is completely changing its BlackBerry OS in its BB10 release and its new gesture-based UI so that they can strongly stand up to BB OS 10’s biggest competitor, Windows Phone 8. 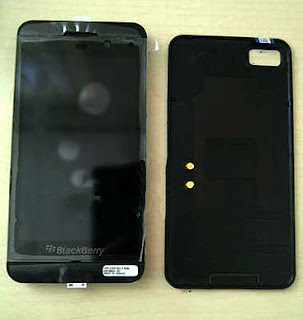 A leaked specs sheet revealed the specs of the BlackBerry Laguna for Verizon, an L-series device (i.e., the touchscreen series) that appears to be the CDMA version of the oft-leaked BlackBerry. The 9 mm thick phone has a 4.2-inch screen with a resolution of 1280 by 768 pixels, and inside it is powered by a Snapdragon S4 chip – the MSM8960, paired with 1GB of RAM. There is an 8-megapixel camera on its back capable of shooting 1080p video, and a front-facing 2MP camera for video calling. The BlackBerry Laguna will connect to Verizon's 4G LTE network for super fast internet access anytime, anywhere. In addition, the handset will be able to act as a 4G mobile hotspot, for sharing your data with other Wi-Fi-capable devices. The list of connectivity features also includes NFC, DLNA, GPS, Bluetooth, microUSB interface, and HDMI output for hooking up the smartphone to an HDTV. 0 Respones to "Specs leak for Verizon-bound BlackBerry Laguna"